This week, Faithwire received an email from someone who had saved an article of mine from this time last year. The piece was titled “Glory to God”: Faith of Philadelphia Eagles on Display After Huge Super Bowl Victory, and it highlighted many of the gestures of faith displayed by the Eagles players and coaching staff following their stunning Super Bowl win. This reader, however, took a bit of an issue with some of the content of the piece. So, ahead of Super Bowl LIII, and in light of the Eagles’ notable absence from the proceedings, I thought I’d respond to a few of the reader’s questions and assertions. You are absolutely right — there will be no glittering end for the Eagles, no “Philly Special” to send the crowds into a frenzy, nor any faith-filled victory speeches to put the icing on the cake (although with players like Brandin Cooks and Sony Michel there’s still a good chance). But the question is: will that affect the faith of Nick Foles, Carson Wentz, Zach Ertz and the rest of the players who trust in Jesus? See, the whole point of this article was to highlight the unfailing faith these of players, no matter the circumstance. This is, perhaps, best illustrated through the plight of Carson Wentz — Philly’s star quarterback who was, heartbreakingly, relegated to the bench due to injury. Wentz consistently encouraged his replacement, Nick Foles, despite missing arguably the biggest few games of his career. 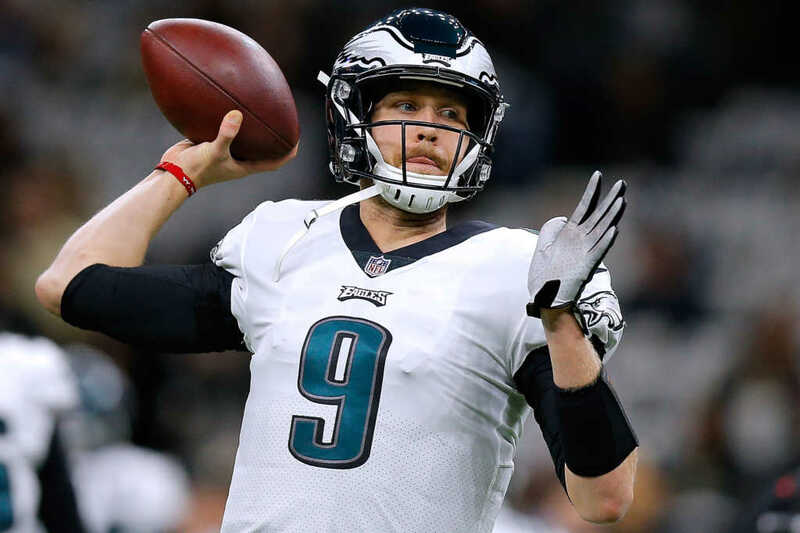 “Eagles star quarterback Carson Wentz, who was downed with injury a few months ago, said he could not be happier for his star man replacement, Nick Foles. That takes guts and grace. If you need any more evidence of Wentz’s steadfast faith and character, see here, here, here and here. God always looks at the state of our hearts, in the good times and the bad. Both good and bad times will come, whether you like it or not (John 16:33). But it is how you respond to these circumstances, and indeed whether or not you are willing and able to apply your faith, that really matters. This was, and still is, the most compelling aspect of the Philadelphia Eagles — their ability to adopt a posture of praise regardless of whether or not they are Super Bowl champions. The Eagles’ inclusive team spirit, unshakeable brotherhood and the staggering humility displayed by their star players is also evidence of the Holy Spirit working in them. Instead of seeking to attract glory for themselves, they choose to serve and support each other, all the while giving God the praise in their successes (and failures). Indeed, Nick Foles himself has been candid about his long list of failures and shortcomings experienced throughout his career. Sharing with You Version’s Bible app devotional back in 2017, Foles spoke for the first time about how close he got to hanging up his jersey for good. That’s right: a future Super Bowl MVP almost quit the game for good. 2 Corinthians 12:9 This is a favorite verse of mine. Don’t be afraid to make a mistake or fail. That’s how you learn and grow. And growing is a good thing. Weak moments just mean you have depend less on yourself and more on Christ. “I kept reading scripture, I kept praying, I kept asking God — and so many of us ask God for signs. We ask God, ‘Hey, please just put it on the wall, like, I want to know,’ but that’s not how it works,” he said. Foles shared from 2 Corinthians 12:9, detailing how that helped him in his decision to return to the NFL. The point here is that, while God might not be actively involved in the game of football, he is intimately involved in every aspect of each of our lives — win or lose. This is what appears to matter most to many of the Philadelphia Eagles players and staff — and for this, I think they should be greatly admired.